Scan of card number 29-04 from a large set that was released by Edito-Service S.A. (a.k.a. Atlas Editions Cards) in 1977. 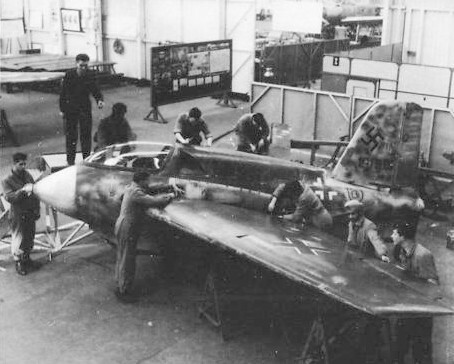 Caption reads: "RAF Apprentices renovate captured Me 163, 1961"